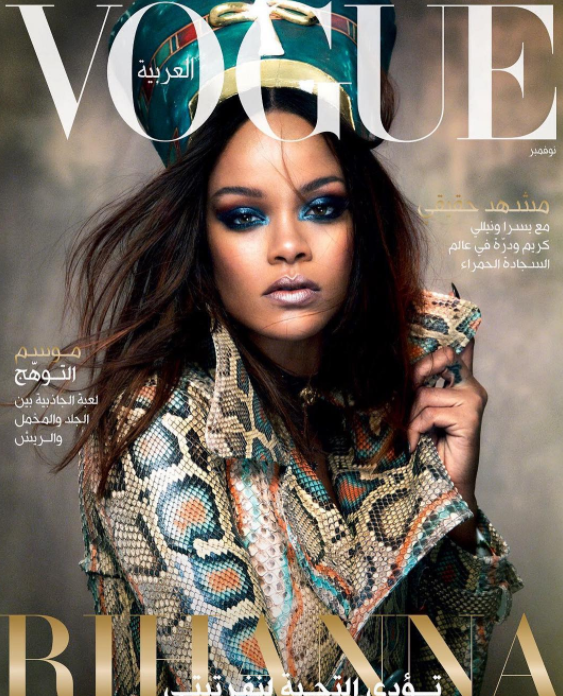 –Rihanna looks amazing on the cover of Vogue Arabia, but some people are wondering if it’s cultural appropriation? -The Good Doctor is not just the biggest hit of the fall TV season, it’s breaking ratings records. This thing is averaging a stunning 17.4 million viewers! -I found The Crown very pretty but ultimately way too slow to keep my interest. But news that Olivia Coleman will take over as Queen Elizabeth II intrigues me. I wonder if she’ll tell anyone to “move away from me now or I will piss in a cup and throw it at you“? –Taylor Swift’s new video proves she was the only one who saw Ghost in the Shell. –Kristen Bell says a Veronica Mars limited series is going to happen. Here for it. -If you’re wondering why your connection is really slow today, it’s because Alexander Skarsgard appeared on the red carpet with a half bald head and the internet melted. -Good on Gal Gadot for saying that Wonder Woman’s backstory in Batman v Superman made no sense for that character. -This Anna Faris interview with Colbert is incredibly uncomfortable and makes me sad. -If directing Thor makes Taika Waititi a huge star, which in turn makes everyone discover What We Do In The Shadows, that would be swell. –Robert Rodriguez says casting Rose McGowan in Grindhouse was a F-U to Harvey Weinstein. -With today’s premiere of Stranger Things, I now want to protect Millie Bobby Brown more than ever. -This Justice League TV spot stuffs a ton of new footage into 30 seconds. Are Kate Hudson and Matt Bellamy On The Rocks?